So you don’t want to pay for your accommodation. Used to be a tricky one unless you had friends living here but now you can make new friends by joining the couchsurfing community. Couchsurfing is a service that connects members to a global community of travellers. You can use couchsurfing to find a place to stay or share your home with other travellers. Get started by filling out a profile on the website (about your lifestyle, mission, what’s important to you and add some photos) then search for Bali and browse locals or expats with rooms/couches available. When you find interesting potential hosts, carefully review their profiles and send a couchrequest for the dates you’ll be here. Of course even though the accommodation is free of charge it is considered polite to for example cook for your host in return for their hospitality. What would be better than getting to do something you enjoy for free and at the same time helping others. This might not be a normal things to do for free -option but I think it’s definitely one of the best and results in happiness on both sides. You can contact for example local orphanages who can always use a helping hand with the kids, BAWA animal rescue foundation, Solemen Indonesia that works with the disadvantaged, Project Protect that provides children helmets for free as a part of “Safety in traffic” campaign or Eco Bali that offers responsible waste disposal and sustainable solutions to waste management for example to schools, offices and hotels. If you have any special skills for example in healthcare or education you can try searching the internet for longer volunteering programs. Bali is an island of magnificent sunrises and sunsets and these beautiful sights can be seen from the beaches, tops of the cliffs or even mountains, ricefields and from the rooftops. Take an early morning stroll on the beach or watch the sunrise sitting on your surfboard amongst the waves. 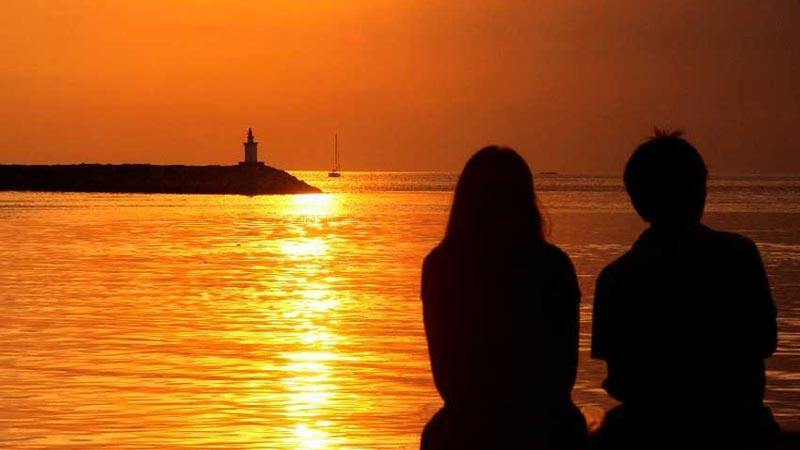 Or grab a few Bintangs, a blanket and some good company and head to Jimbaran honeymoon beach for a clifftop sunset. Many of the beach bars have live music starting from sunset, so you can find a place for every night of the week. If you are in a group in which at least some of the people are buying drinks or food you don’t need to feel bad about being there just to enjoy the free music. 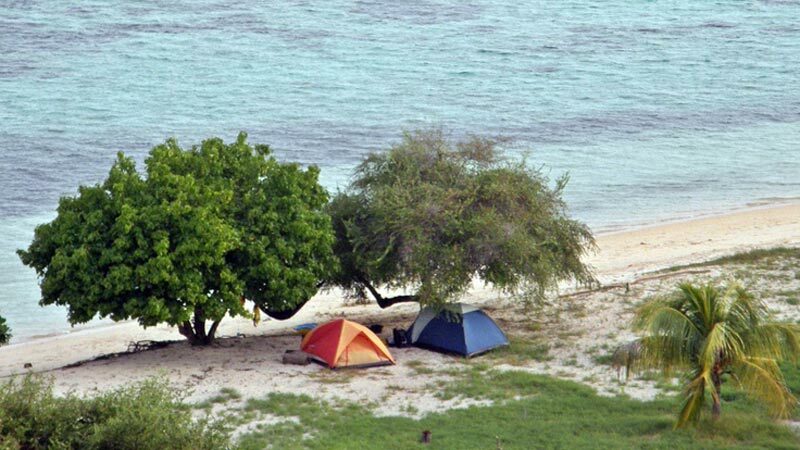 Otherwise lay your sarong down on the beach a bit further away and watch the sky while enjoying the tunes. For example Taris Bali on Gado-Gado (Dhyana Pura) beach serves nice reggae tunes on Tuesdays. 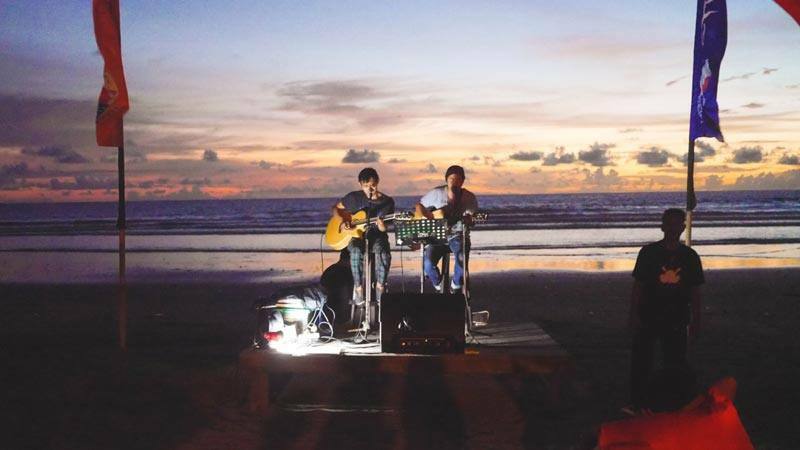 Also check out if there are any big names playing at Potato Head Beach Club, many friends of mine have been known to set their camp nearby on the beach for a free concert. Spirituality is one of the central vibes of Bali so it comes as no surprise that the island is dotted with numerous temples. The main religion here is hinduism, and in Indonesian language a hindu temple is called pura, so these are what you will be looking for. Entry to the smaller puras is almost always free though there will be a donation box near the door and it is considered respectful to leave a small amount of money. 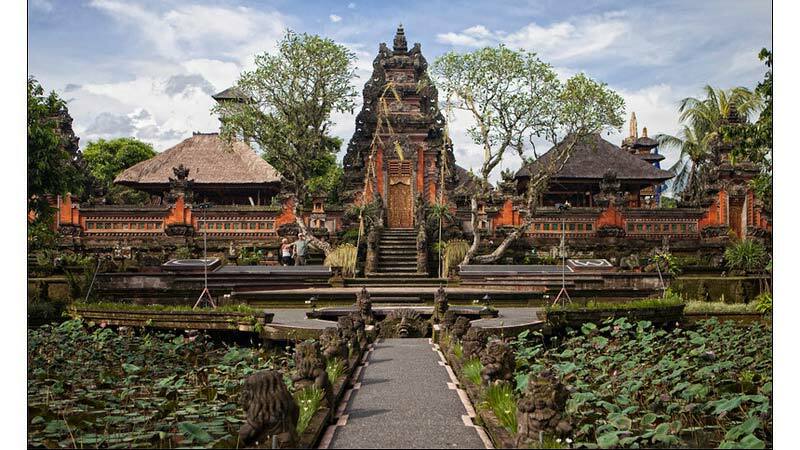 Of the bigger puras Pura Saraswati in Ubud and Batuan Village temple also offer free entry. When entering the pura make sure you’re wearing a sarong or other light clothing to cover yourself and also usually you’ll need a sash which can be rented. Please bear in mind that menstruating women are not allowed to enter. 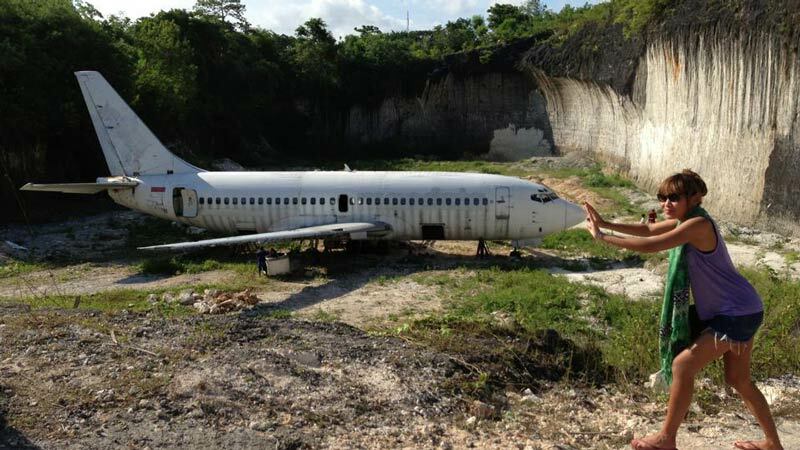 The abandoned plane in the Bukit Peninsula. You can find this one a bit hidden up in the hilly limestone area on the Bukit, only a kilometre north of Pandawa beach. The story behind the plane seems to be that someone bought it so they can turn it into a home or to make it a tourist attraction but it still gives you the chills when witnessed in moonlight. The Ghost Hotel of Bedugul. 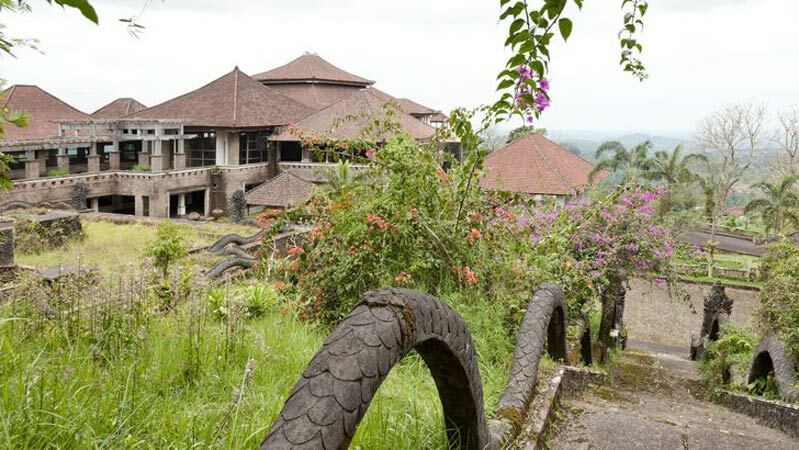 Taman Rekreasi Bedugul is a hotel which construction was started in the early 90s and halted in 2002, and despite being almost ready for opening it has never seen a guest. Also called the Ghost Palace Hotel, it is worth seeing with your own eyes. Just be careful around the deteriorating structures. Trunyan village. The village lies on the eastern side of the Lake Batur and usually requires a boat trip from the other side. 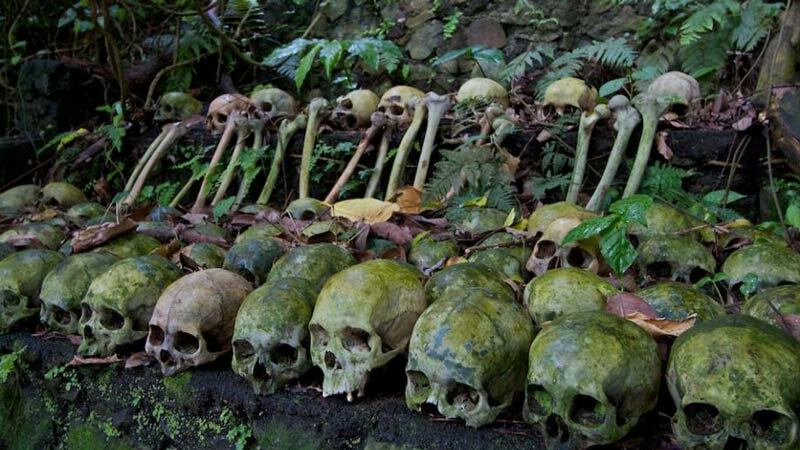 While the general Balinese Hindus are known for their lavish cremation ceremonies, the people of Trunyan are best known for wrapping the bodies of the deceased and bringing them to the designated village graveyard where they lay them on the ground next to a large ancient fragrant tree. I believe one picture says it all. Even if you’re too strapped for cash for actual shopping nothing stands in the way of window shopping. There are so many nice clothing, furniture and decoration boutiques so go ahead and savour the collections with your eyes without needing to open your wallet. 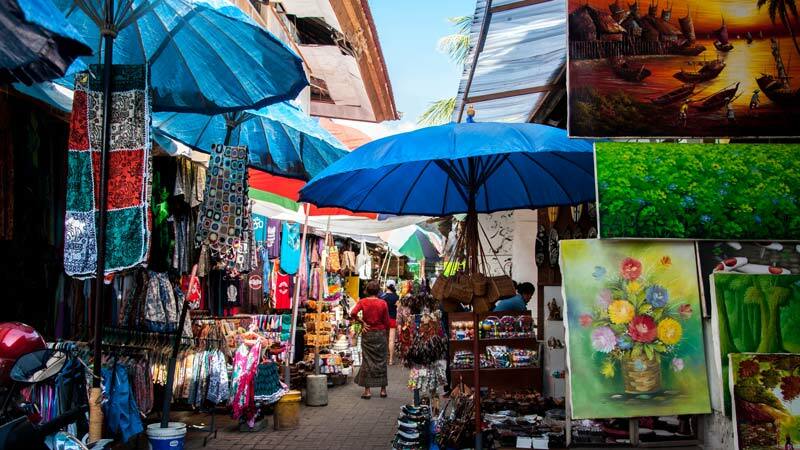 You can also walk around at Carrefour on Sunset Road or Bintang market on Jalan Raya Seminyak to taste the free food and drink samples. 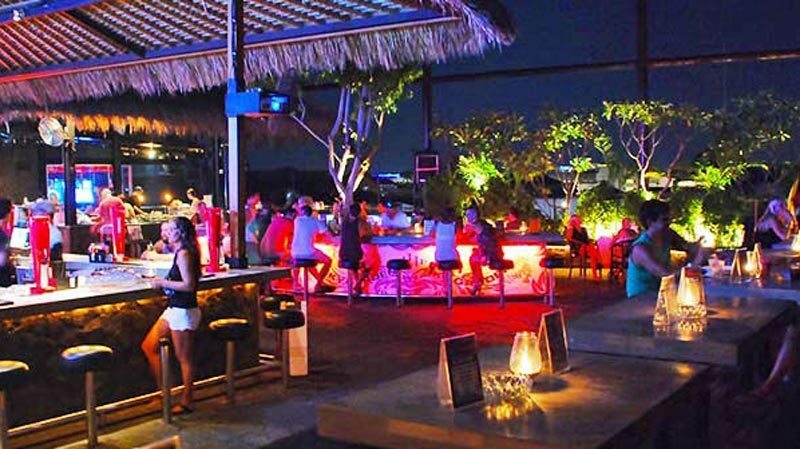 If you’re looking forward to enjoying the benefits of a club without having to pay for your cocktails just head to Sky Garden’s rooftop bar on Jalan Legian. On some days they serve free cocktails from 9-11pm. Please drink responsibly and remember that the alcohol they use is cheap and not always that good quality (even though they advertise only using imported spirits). Bali’s gamelan music and dance performances are an integral part of the daily Balinese life, mainly because there are so many hindu ceremonies and festivals. If you don’t want to pay to be able to get to know this part of the local culture, you can go and watch the rehearsals for free. 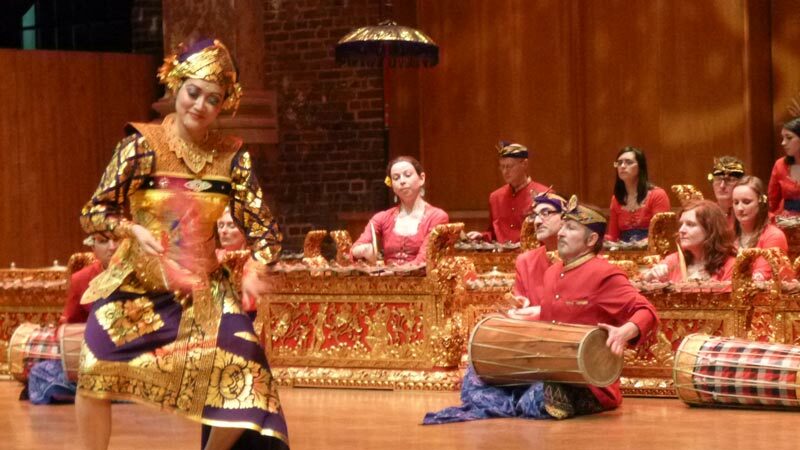 Sanur and Ubud areas have several renowned gamelan and dance troupes who practice regularly, some in the afternoons, some in the evenings and visitors are entirely welcome to watch the rehearsals. So find out where they practice and if you hear gamelan music playing just wander closer and ask if you could join.